Welcome to Haskins Automotive! We have been serving the automotive needs of the greater Wellesley area since 1929. Family owned and operated we are Wellesley’s only AAA approved auto repair center. Whether it’s an automobile service, used car sale or auto body repair we are capable of handling all of your automotive needs. Our certified mechanics and service managers are dedicated to making sure you are COMPLETELY satisfied with your experience. We look forward to serving you. Thank you. Formerly Haskins Oldsmobile, we were the oldest family owned and operated Oldsmobile dealership in the country. We are pleased to continue our family tradition and offer automotive services to greater Wellesley and Metrowest Boston. 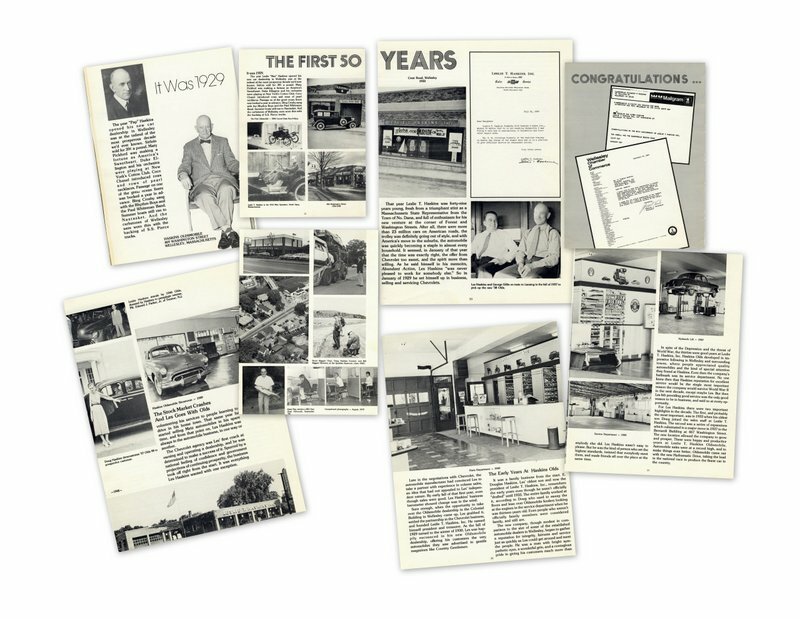 The company was founded in 1929, the year "Pap" Haskins opened his new car dealership in Wellesley was at the tail end of the most prosperous decade we'd ever known. Sirloin was sold for $0.39 a pound! Mary Pickford was making a fortune as America's Sweetheart, Duke Ellington and his orchestra were playing at New York's Cotton Club, Coco Chanel introduced rows and rows of pearl necklaces. Passage on one of the great ocean liners was booked a year in advance. Bing Crosby sang with the Rhythm Boys and the Paul Whiteman Band. Summer boats still ran to Nantasket. At the curbstones of Wellesley were worn thin with the backing of S.S. Pierce trucks. We would like to thank our all our customers for your continued patronage. We appreciate your business and we look forward to continue to serve your automotive needs. Haskins Automotive is a proud supporter of the Wellesley Youth Football and the Massachusetts American Red Cross.